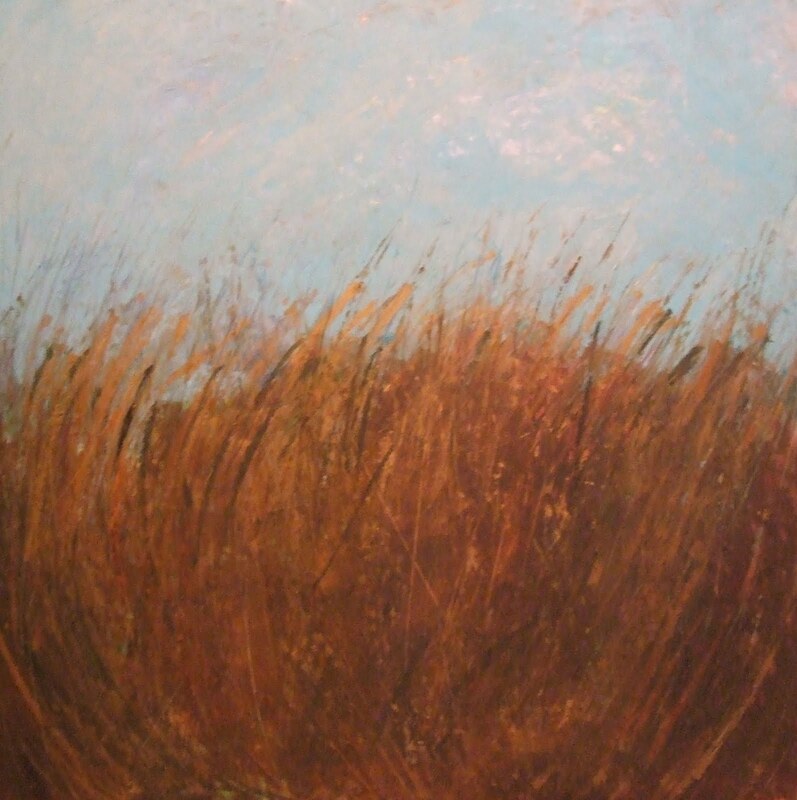 Ginnie Cappaert: Art is. . .
My work is very intuitive. There is a lot of "what if I try this" going on. There is a lot of mind chatter. There is a lot of peace. There is a big mess. There is a lot of fun. There is a lot of fear. There is a lot of happiness. 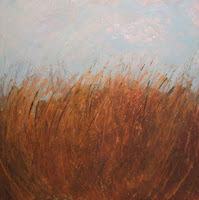 I have been working the last couple weeks on getting a commission done of a large painting of my marshgrass series. I love this series and have done it many times, many layers, many different sizes and each one results in a similar yet different image. I love the process of layering and scraping. I love the final results. Ginnie, It was great to meet you yesterday and I LOVE your art!!! I did see it this year at Edgewood and noticed that they had an abstract artist that I loved. Hope to see you again soon. Thanks susan - it was great to see you and your studio! Very peaceful, beautiful place!